1 Bedroom Flat For Sale in Torquay for Asking Price £80,000. FEATURED IN THE BIG OPEN HOUSE. Having sea viewings from the lounge and bedroom, a really nice first floor flat which is a credit to its current owner. 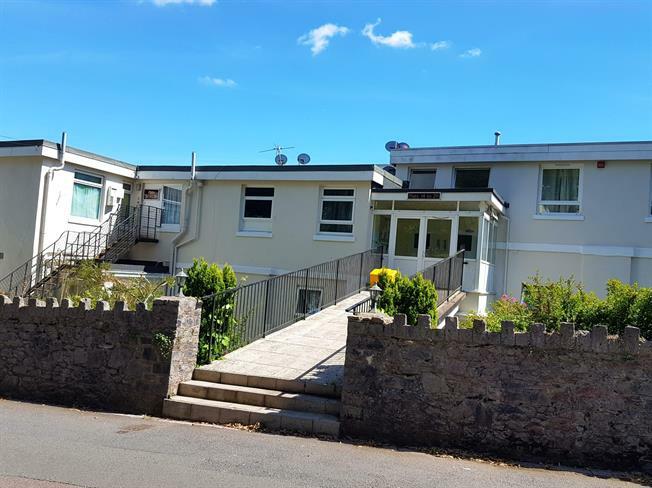 The accommodation includes a living room open plan to a modern kitchen, bedroom, modern bathroom, double glazing, electric heating and allocated parking. Fitted kitchen with wall and base units, roll top work surface, sink with mixer tap and drainer, tiled splash backs. Space for electric oven with overhead extractor. Space for a washing machine. Cupboard housing the hot water tank. Double glazed window to the rear with sea views. Part tiled walls. Low level WC, panelled bath, pedestal sink. To the side of the property there is a communal bin area, allocated parking and an undercover storage area in the cellar.